From deep house to dance-pop, Dutch producer Steve Void does it all with style. With his experience and vision (as well as weekly releases) it’s only natural that his Strange Fruits label would be excelling as much as it is so far this year. 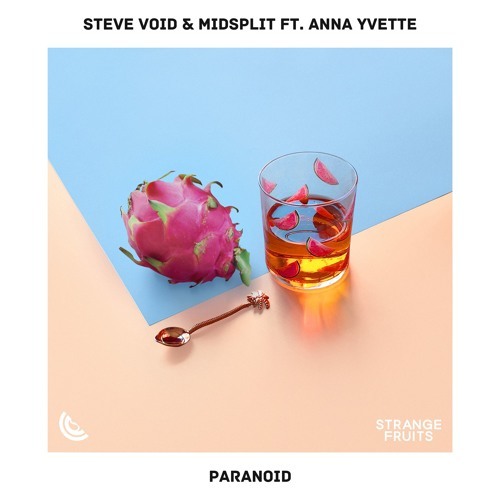 And for this week’s release he’s teaming up with Canadian producer and Strange Fruits veteran Midsplit to release a fresh new piece entitled ‘Paranoid‘. Gorgeous from start to finish, Steve Void & Midsplit have definitely outdone themselves with this track. Together with the help of Anna Yvette’s silvery vocals they create an upbeat and insanely catchy piece of music that demands more than one listen. Give ‘Paranoid’ a listen and be sure to grab your own copy for free in the link below.